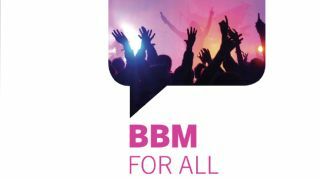 BBM, better late than never? Update: Apparently, the rumors weren't too far off and just missed the launch date by one day. BlackBerry just released the "breaking" news via its blog that BBM will indeed be released in the days to come - Saturday, Sept. 21 for Android and Sunday, Sept. 22 for iOS. BBM will be available for Android devices running Ice Cream Sandwich and Jelly Bean, while only iPhones on iOS 6 and iOS 7 can download the app. Perhaps the company was waiting for iOS 7 to hit the iPhone, or maybe it was just about time to put all the rumors to bed. Whatever the reason, BBM fans can finally access the app beyond BlackBerry devices. More rumors have surfaced about the release of BBM for Android and iOS systems. This time, Jakarta website TeknoUp claims they received an invitation to an event that's pegged for Sept. 20. We're not sure how legit the invite is, but CrackBerry compiled a list of plausible dates based on previous rumors and it seems like this Friday we'll see BBM hit the Google Play store for Android devices while the Apple store will see it on Sept. 21 for iOS. We previously reported that BBM would touch down in Africa this Friday, so perhaps there is some truth in the rumors. The messaging app is supposedly releasing late this summer, which could mean the tail-end of summer considering Autumn starts Sept. 22 and we've seen nothing but rumors and teases. There was an instance where it seemed BBM would be up and running but BlackBerry jumped the gun and pulled the site down. We'll be looking out for the app this weekend to see if it really launches. Speaking of iOS, have you checked out iOS 7 yet?